Romagna Business Matching is an event hosted by Confindustria Romagna and Confindustria Forlì-Cesena. Various businesses from different industries took part to network and showcase their products and services. Terminal Container Ravenna was one of them – as a company with shareholding from both Contship Italia and Sapir – with its own stand to present the important role of the port in the supply chain for both local and international goods, guaranteeing fast and reliable connections via land and sea with the main Italian, European and global markets. In the picture, guests in the TCR stand, Daniele Rossi (Port Authority President), Paolo Baldrati (Confindustria Romagna Vice President), Giannantonio Mingozzi, Milena Fico and Alessandro Battolini (respectively TCR President, TCR Director and Operations Director) and Raffaello Cioni, Group Maritime Commercial Director. R. Cioni also held a speech in the “Sinergie” timetable, aimed at explaining how the role of ports is changing to support cargo competitiveness in both import and export procedures, and how the focus is shifting from quay operations to the entire supply chain. 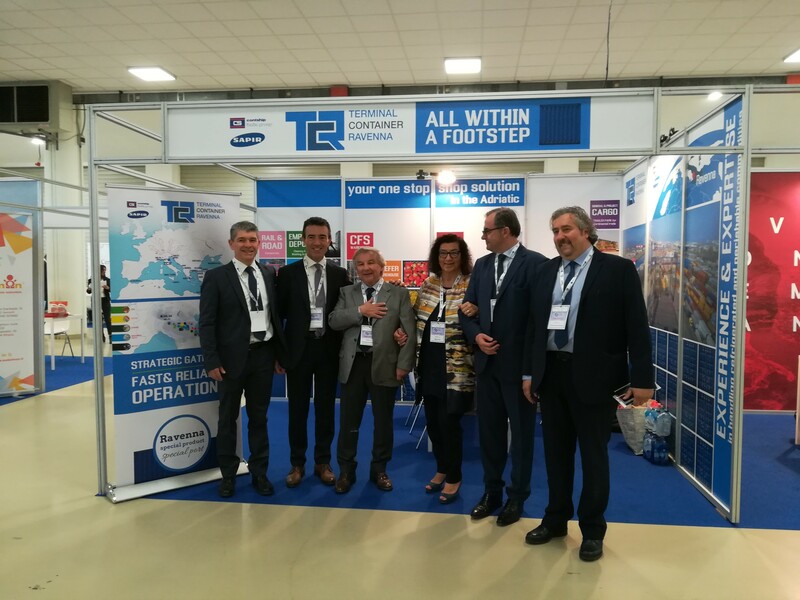 Yet another important occasion to showcase Contship Ravenna’s activities in a value added network which is increasingly strategic for those entrepreneurs - in the Romagna region and beyond – that seek true competitiveness on international scale.